THE case Nandini Sundar vs State of Chhattisgarh arose out of a writ petition (civil) filed in 2007 in the Supreme Court by Nandini Sundar, a Professor of sociology at the Delhi School of Economics; Ramachandra Guha, a historian; and E.A.S. Sarma, former Secretary to Government of India and former Commissioner, Tribal Welfare, Government of Andhra Pradesh. The petitioners had alleged that the State of Chhattisgarh was actively encouraging a group called Salwa Judum, a civil vigilante structure, to counter Maoist insurgency, and that had resulted in violation of human rights. The State government created Salwa Judum in June 2005, projecting it as a spontaneous people’s movement to take care of the law and order situation in the naxalite-prone Dantewada district. It comprised about 6,500 Special Police Officers (SPOs), or Koya commanders, appointed by the State government. The force was substantially financed by the Central government. Its members started out with meetings in and around Kutru village of Dantewada district under the aegis of the Jan Jagran Abhiyan. The Jan Jagran Abhiyan was subsequently renamed Salwa Judum. In May 2006, Nandini Sundar, Guha and Sarma undertook a fact-finding mission to Chhattisgarh as part of the Independent Citizens’ Initiative and heard complaints against the activities of Salwa Judum. They then approached the National Human Rights Commission (NHRC), the Prime Minister, the Union Home Minister, and the National Commission for Scheduled Tribes, among others, and alerted them about the human rights violations by Salwa Judum. Failing to elicit an effective response from them, the civil rights activists approached the Supreme Court with a writ petition. The Salwa Judum case was one of those rare cases heard by the Supreme Court; it was heard for 26 days spread over five years. Eleven judges, belonging to different Benches comprising two or three judges, heard the matter at different times. When Justice B. Sudarshan Reddy and Justice Surinder Singh Nijjar delivered the judgment in the case on July 5, they did so after hearing the case for 16 days during 2010-11. According to Nandini Sundar, all the judges who heard the case were sympathetic towards the concerns raised in the petition. The hearings in the case could have concluded much earlier had the Chhattisgarh government not sought frequent and unnecessary adjournments. The Reddy-Nijjar Bench held that the formation of Salwa Judum on a temporary basis was an abdication of the state of its constitutional responsibility to provide appropriate security to citizens by having an appropriately trained professional police force, of sufficient numbers and with proper equipment on a permanent basis. The Bench also held that the Salwa Judum policy violated both Articles 14 (equality before law) and 21 (protection of life and personal liberty) of those employed as SPOs as well as of the citizens living in those areas. Therefore, the Bench ordered the State government to disarm the SPOs, desist from using them to counter Maoist activities, and protect their lives. The Bench also directed the State government to prevent the operation of Salwa Judum or any other such group that seeks to take the law into its own hands or violates the human rights of any person. The Bench held that the appointment of SPOs to perform any of the duties of regular police officers was unconstitutional. Nandini Sundar was also an unusual case in that the court undertook to examine the issues of evidence very much like a trial court and yet did not compromise on the standards to be adopted while evaluating evidentiary issues. The court found its task easy to carry out primarily because most of the allegations made in the petition stood proven in terms of admissions by the State and Central governments and their corroboration by a number of independent fact-finding reports. The state sponsorship of Salwa Judum was clear and could not be denied. The petitioners showed to the court that Salwa Judum activists, accompanied by security forces and the district police, went into villages, burnt houses, looted grain, livestock and money, and even raped women and killed individuals. Reports by Human Rights Watch, the National Commission for Protection of Child Rights, and the NHRC corroborated these allegations. In addition to this, the petitioners had annexed testimonies by victims. A documentary film produced by Channel 4 of Britain was included as Annexure F-3 in the evidence provided by the NHRC. Forcible evacuation of villagers into Salwa Judum camps, which the State government euphemistically referred to as relief camps, was proved. Such villagers were made to abandon their fields and prevented from returning to their homes. Chhattisgarh Chief Minister Raman Singh denied that minors were appointed as SPOs. However, the petitioners proved that minors were appointed as SPOs by producing their photographs and also the police memorials to SPOs Sujeet Kumar Mandavi and Manglu Ram showing that they were 17 and 18 years old respectively when they were killed in a naxalite attack on the Rani Bodli outpost. A picture of mass violation of fundamental constitutional rights emerged from the testimonies of residents of 110 villages, given at an open rally organised by the Adivasi Mahasabha in June 2007 in Cherla in Khammam district of Andhra Pradesh. The translations of these testimonies (with originals in Gondi and Hindi) were given to the court as annexures to the writ petition. The lists of people killed or raped, and the number of houses burnt were also annexed to the petition. Independent reports corroborated these testimonies. In the first two years of Salwa Judum (2005-07), the number of people forcibly removed from 644 naxalite-affected villages to Salwa Judum camps was 47,238. There were 20 such camps. These data, taken from an official memorandum of the State government, were annexed to the petition. Considering the facts of the recruitment of SPOs, the court expressed its dismay at the violation of law. It found that the State government recruited the SPOs first under Section 17 of the Indian Police Act, 1861 (IPA), and later under Sections 9(1) or 9(2) of the Chhattisgarh Police Act, 2007 (CPA). Section 9(1) or 9(2) of the CPA does not specify the conditions under which the Superintendent of Police may appoint “any person” as an SPO. The court felt that that would be a grant of discretion without any indicia or specification of limits, on the number of SPOs who could be appointed, their qualifications, their training or their duties. Conferment of such unguided and unchannelised power, by itself, would clearly be in the teeth of Article 14, it said. In contrast, Section 17 of the IPA sets forth the circumstances under which such appointments could be made and the conditions to be fulfilled. The court, therefore, held the appointment of SPOs to perform any of the duties of regular police officers other than those specified in Sections 23(1)(a)(h) and 23(1)(a)(i) of the CPA (dealing with disasters and movement of people and vehicles) unconstitutional. It was also dissatisfied with the State government’s New Regulatory Procedures governing the recruitment of SPOs, which made it clear that the SPOs were to be used for counter-insurgency activities. The court agreed with the petitioners that the lives of thousands of tribal youth appointed as SPOs were placed in grave danger because they were employed in counter-insurgency activities. The State government cynically claimed in its affidavit that 173 of the SPOs “sacrificed their lives” in this bloody battle, thus proving the petitioner’s contention, the court observed. It also noted that the SPOs suffered a higher rate of deaths, as opposed to what the formal security forces suffered, and this only implied that the SPOs were involved in front-line battles or that they were placed in much more dangerous circumstances without adequate safety of numbers and strength that formal security forces would possess. The court noted that the SPOs had become cannon fodder in the killing fields of Dantewada and other districts of the State and that the training they received was clearly insufficient. It was shocked that the SPOs, with little or no education, were expected to learn the requisite range of analytical skills and legal concepts and familiarise themselves with other sophisticated aspects of knowledge within a span of two months. Although the State government claimed that it had preferred candidates who had passed the fifth standard for recruitment as SPOs, it implied that some, or many, who had been recruited might not have passed the grade. As the SPOs had such limited schooling, the court found the State government’s claim that they had learnt legal subjects in 42 hours astounding. While the State government stated that the SPOs were provided firearms only for self-defence, the court felt that they were being placed in volatile situations in which the distinction between self-defence and unwarranted firing might be very thin. It would require a high level of discretionary judgment, which the young SPOs were incapable of exercising, the court said. In Paragraph 49, the court referred to the State government’s admission that many of the youth who were willing to be recruited as SPOs were motivated by the fact that they or their families had been victims of naxalite violence or wanted to defend their hearth and home from naxalite attacks. From this the court inferred that those recruited as SPOs might be actuated by feelings of revenge. Such feelings, it opined, would hinder the development of a cool and dispassionate analysis of Maoist actions and could even result in the SPOs branding non-Maoists as Maoists or Maoist sympathisers and causing more people to take up arms against the state. The court also deplored the Central government’s argument that its role was limited to approving the total number of SPOs and the extent of reimbursement of the “honorarium” paid to them and that it had nothing to do with issuing directions as to how the SPOs were to be recruited, trained and deployed. It reminded the Central government that the Constitution cast a positive obligation on the Centre to undertake all such necessary steps to protect the fundamental rights of all citizens and, in some cases, even of non-citizens. The court noted with concern that it was the financial assistance extended by the Union that had enabled the State government to appoint barely literate tribal youth as SPOs and give them firearms. The SPOs were paid an honorarium of Rs.3,000 a month, which the Union reimbursed. The court found it clearly unconscionable that the Central government did not find it necessary to evaluate the capabilities of these SPOs and had abdicated its responsibilities. When the Central government expressed its readiness to issue advisories to the State government requiring the latter to recruit SPOs after careful screening and improve the standards of training, it did not at all inspire the confidence of the court that the Centre would take all necessary steps to mitigate a vile social situation that it had, willy-nilly, played an important role in creating. Many analysts have expressed surprise that the Reddy-Nijjar Bench devoted 22 paragraphs of its judgment to a discussion of ideological issues, which largely appear irrelevant in deciding the issue before the court. These paragraphs indict the neoliberal development paradigm and the resultant privatisation and globalisation in clear terms. This paradigm, expressed succinctly in Paragraph 10, says that unless development occurs, via rapid and vast exploitation of natural resources, the country will not be able to either compete on the global scale or accumulate the wealth necessary to tackle the endemic and seemingly intractable problems of poverty, illiteracy, hunger and squalor. The court says, on the basis of historical evidence, that a development paradigm depending largely on the plunder and loot of natural resources more often than not leads to the failure of the state and that on its way to such a fate, millions will be condemned to lives of great misery and hopelessness. The Bench observed that involving these ill-equipped and barely literate youngsters in counter-insurgency activities revealed a disrespect for their lives and dignity, thus violating Article 21. Also, the temporary nature of the employment of the SPOs would endanger their lives further by subjecting them to dangers from the Maoists after they were disengaged from duty, the court said. The Bench also found proof for the violation of Article 14 in that the SPOs were expected to perform all the duties of police officers and were subjected to all the liabilities and disciplinary codes as members of the regular police force, and their lives were placed on the line, plausibly to a greater extent than the members of the regular security forces, and yet they were paid only an “honorarium”. The Communist Party of India (Maoist) has welcomed the judgment, reassuring the SPOs that the Maoists do not see them as their enemies. The Maoists have promised to take the responsibility of rehabilitating the SPOs and ensuring livelihoods for them if they returned to the villages and severed all ties with the government. According to the People’s Union for Democratic Rights, the CPI (Maoist)’s statement allays the fear that there may be retaliatory violence against the erstwhile SPOs. The State government has decided to seek a review of the judgment, but the judgment makes it clear that it is the State and Central governments that need to review their approach to the Maoist threat. A number of civil society movements have urged the State government to give priority to instilling confidence among the affected communities by investigating all instances of alleged criminal activities by Salwa Judum, filing of first information reports and ensuring diligent prosecution of all SPOs charged with various offences, apart from rehabilitating the victims, as directed by the Supreme Court. The pressure has for long been mounting on K.G. Balakrishnan, former chief justice of India, to quit his post as chairman of the National Human Rights Commission (NHRC) with the revelation that his brother and two sons-in-law are in possession of unaccounted-for wealth. Many jurists, including former judges of the Supreme Court, are asking why, considering that all that wealth seems to have been acquired during his January 2007-May 2010 tenure as CJI, he has neither come clean nor resigned so far. This when the income tax department too has confirmed that the former CJI’s relatives are in possession of black money. Though the income tax department hasn’t yet put a value to those assets, according to estimates submitted to the apex court by a petitioner, advocate Manoharlal Sharma, the properties involved alone are worth Rs 15 crore. On February 19, Chief Justice of India S.H. Kapadia not only admitted Sharma’s PIL seeking a judicial inquiry into the assets of Balakrishnan and his relatives, he summoned attorney-general Ghoolam Vahanwati to enquire about a more damning complaint against the former CJI, filed by Dr Mohammed Furqaan, a Delhi-based doctor and activist. Furqaan’s complaint was filed on May 4, 2010, and copies were sent to the vice-president, the Lok Sabha speaker and Justice Kapadia. It alleges that a judgement by Balakrishnan in a family dispute involving a corporate house headed by two brothers was influenced through a common contact, Yusuf Ali, a Dubai-based NRI businessman. Ali is alleged to have mediated between Balakrishnan’s relatives and the brothers affiliated with the corporate house. Ali’s website, incidentally, has a picture of him with Balakrishnan and another of him with one of the brothers. The vice-president’s office had forwarded Furqaan’s complaint to the Union home ministry, which in turn sent it to the CBI. The Kochi office of the CBI is on the job. There is concern in the legal fraternity about the accusations against Balakrishnan. “These are very serious allegations,” says J.S. Verma, a former CJI. “Going by Furqaan’s allegations, if there are pictures of the Dubai-based businessman with him and the leader of a corporate house, whose case he heard, it is even worse. He should not keep quiet; he should speak up to clear the allegations. And if there’s nothing against him, he should ensure that people levelling charges against him are booked. Otherwise, the law should take its course against him.” There are other questions from Sharma, who has filed the pil: How can Balakrishnan head the NHRC when there’s a probe against him, and how can he hear cases when he himself faces so many allegations? It’s a question, Sharma says, of people’s faith in the commission. He also makes a larger point—that although there were some complaints before, such as those against Y.K. 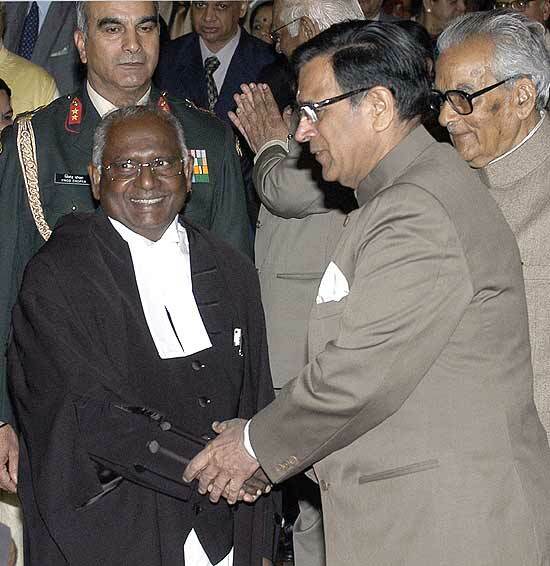 Sabharwal, another former CJI, involving property deals in Delhi, they were unfortunately never taken up in earnest, creating the impression that if anyone raises a voice against judges, he would run the risk of inviting contempt proceedings. “Every single complaint should be looked into in order to uphold faith in the judiciary.” It’s something judges ought to think about. Former CJI defends himself against charges that his relatives have acquired assets disproportionate to their known sources of income. A complaint demanding a CBI probe and a PIL demanding a judicial inquiry is pending against you and your relatives. Is there a campaign against you? Yes. This is a campaign to malign my image. 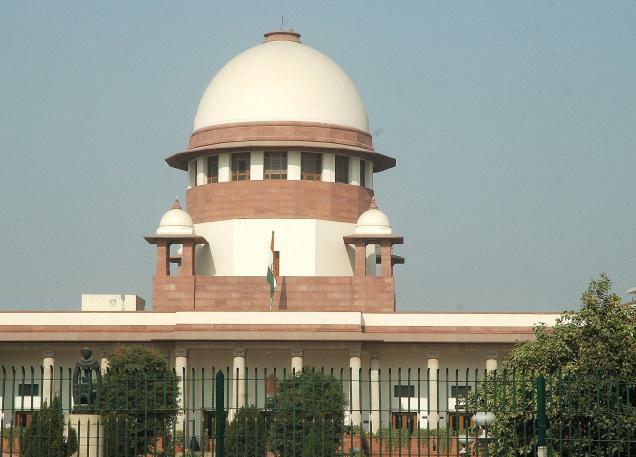 The Supreme Court has asked for a status report on the investigations following the complaint. I do not want to say anything more as the matter is subjudice. Why did you refuse to share your income-tax returns after an RTI was filed in this regard? Asset declaration was an information required to be made public. I declared my assets. The language I used in the reply is: “I would not like to share my personal details like PAN details etc.” These are my personal details. I don’t want to share them. I have nothing to hide. Your son-in-law P.V. Srinijan also refused to disclose his income-tax returns. Shouldn’t he have done that? He is a different individual. These questions should be asked to him. I have no idea about the reasons behind his refusal. The PIL seeking a judicial probe levelled many allegations. It is not appropriate to talk about these issues now. The matter is before the court. New Delhi: In a rare instance, the Supreme Court has admitted that its earlier judgments, in one and the same case, upholding the death sentence awarded by the trial court and confirmed by the High Court were a mistake and violation of human rights of the accused. The court in a second review upheld the Assam Governor’s order commuting the punishment to life sentence. In the instant case, the Assam trial court held Ram Deo Chauhan alias Raj Nath Chauha guilty of murdering four members of a family in March 1992 and slapped the death penalty on him. This was confirmed by the Gauhati High Court and later by the Supreme Court in July 2000. In a review petition, the convict took the stand that he was a minor aged 16 at the time of the offence and the hence the death penalty could not have been awarded by the courts below. A three-judge Bench by a majority of 2:1 rejected the review petition and again confirmed the death sentence. But Justice K.T. Thomas, in his minority judgment, felt that since there was a doubt whether Ram Deo was a minor or not when the offence was committed, it would be in the interest of justice to commute death to life imprisonment. Later, acting on a an article written by Ved Kumari, Professor of the Faculty of Law, University of Delhi, the National Human Rights Commission headed by the former Chief Justice of India J.S. Verma felt that Justice Thomas’ reasoning was the correct approach and recommended that the death sentence be commuted and the Governor accordingly did so. However, on a writ petition, the Governor’s order was set aside by the Supreme Court in 2009 holding that the NHRC had no jurisdiction to intervene in the matter. The Bench restored the Governor’s order of commutation of the death sentence. No individual should be forcibly subjected to any of the techniques in question, whether in the context of investigation in criminal cases or otherwise. In our considered opinion, the compulsory administration of the impugned techniques violates the ‘right against self incrimination’.This is because the underlying rationale of the said right is to ensure the reliability as well as voluntariness of statements that are admitted as evidence. This Court has recognised that the protective scope of Article 20(3) extends to the investigative stage in criminal cases and when read with Section 161(2) of the Code of Criminal Procedure, 1973 it protects accused persons, suspects as well as witnesses who are examined during an investigation. The test results cannot be admitted in evidence if they have been obtained through the use of compulsion. Article 20(3) protects an individual’s choice between speaking and remaining silent, irrespective of whether the subsequent testimony proves to be inculpatory or exculpatory. Article 20(3) aims to prevent the forcible ‘conveyance of personal knowledge that is relevant to the facts in issue’. The results obtained from each of the impugned tests bear a ‘testimonial’ character and they cannot be categorised as material evidence. We are also of the view that forcing an individual to undergo any of the impugned techniques violates the standard of ‘substantive due process’ which is required for restraining personal liberty. Such a violation will occur irrespective of whether these techniques are forcibly administered during the course of an investigation or for any other purpose since the test results could also expose a person to adverse consequences of a non-penal nature. The impugned techniques cannot be read into the statutory provisions which enable medical examination during investigation in criminal cases, i.e. the Explanation to Sections 53, 53-A and 54 of the Code of Criminal Procedure, 1973. Such an expansive interpretation is not feasible in light of the rule of ‘ejusdem generis’ and the considerations which govern the interpretation of statutes in relation to scientific advancements. We have also elaborated how the compulsory administration of any of these techniques is an unjustified intrusion into the mental privacy of an individual. It would also amount to ‘cruel, inhuman or degrading treatment’ with regard to the language of evolving international human rights norms. Furthermore, placing reliance on the results gathered from these techniques comes into conflict with the ‘right to fair trial’. Invocations of a compelling public interest cannot justify the dilution of constitutional rights such as the ‘right against self-incrimination’. (iv) During the hearing before the Magistrate, the person alleged to have agreed should be duly represented by a lawyer. (vii) The actual recording of the Lie Detector Test shall be done by an independent agency (such as a hospital) and conducted in the presence of a lawyer. (viii) A full medical and factual narration of the manner of the information received must be taken on record. READ THE JUDGEMENT ON – Involuntary administration of certain scientific techniques, namely narcoanalysis, polygraph examination and the Brain Electrical Activation Profile (BEAP) test for the purpose of improving investigation efforts in criminal cases. NEW DELHI: The Centre on Friday told the Delhi High Court that it would take a decision on amending the law pertaining to appointment of chairperson of National Human Rights Commission (NHRC) after considering the orders passed by the Supreme Court on the issue. According to the existing law, only retired Chief Justices of India can be appointed chairperson of the NHRC. The post of chairperson of the commission is lying vacant after former Chief Justice of India S Rajendra Babu demitted office after reaching superannuation in 2009 which led to the filing of a PIL seeking a direction to the government in this regard. “A similar kind of petition is pending before the Supreme Court. A decision would be taken after perusing the orders passed in that petition,” Additional Solicitor General A S Chandiok told the bench headed by Acting Chief Justice Madan B Lokur. Prashant Bhushan, appearing for petitioner Centre for Public Interest Litigation, an NGO, said “changing the law to enable others except the retired Chief Justice of India to become the chairperson is not a difficult task”. “The Centre, which had assured the court that it would amend the law, has taken seven adjournments in the case. Moreover, it had so far not filed its reply,” he said. The bench, also comprising Justice Mukta Gupta, has now posted the matter for April 7. Earlier, the Centre had told the court that it is considering amending the Protection of Human Rights Act, 1993 to allow a retired judge of the Supreme Court and the chief justice of high court to head the panel. The petitioner claimed there are two retired Chief Justices of India eligible for the post but the government is reluctant to appoint them.